Based in Florida, Software Development is a custom link building company that specializes in white-hat, person-to-person, manual link building services. Our services include both traffic and rankings, and everyone from world-class brands to smaller shops across the globe has made use of our services. We stand by our claim that we truly are a white-hat SEO firm; we want your business to establish SEO links on quality sites that are relevant, as that can make the difference between poor site rankings and rankings that steadily skyrocket. The Software Development offices in Florida work with the most valuable link building tool; the human mind. As a result, our college-educated researchers and writers specialize in getting high quality white-hat links for our client base. 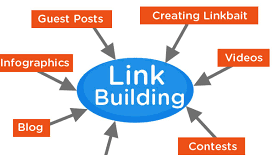 Link building is not a hobby; our team of talented link builders is competitive in their pursuit of quality links for your site. We take pride in getting more done in 40 hours than most could do in a full month. We are powered by teamwork, ingenuity and, of course, the spirit of competition. We take pride in what we do at Software Development, so we do not play games; our talent is second to none, and our people are our biggest asset. Our established set of link-building beliefs offers our clients a great deal of insight into how we operate and think. Read on to learn more about our link building principles and business practices. We have learned – sometimes the hard way – about what works and what doesn’t about custom link building. We have seen a number of unusual and unique industries looking for custom links built for their sites. We can assure you that, regardless of your industry, we can get the job done for your industry’s particular niche. If you need a couple of great links to re-establish your strength in the search engine rankings, or you need a full-blown revamp on your very comprehensive site, we can help you out. We aim, through our link building service, to push relevant, top notch links to your website on a monthly basis. Because we firmly believe in earning your business, we bill month to month. Once you start a link building campaign with us, we give you a team leader who deals with your link building needs and concerns. Your team leader is there to help you understand what we are working towards and ensure that you are comfortable with the team’s overall efforts. We are driven to keep your brand protected and secure online. We appreciate the importance of link building as it concerns SEO, and we are driven to get results. Over time, you will find the link building campaign grows its success as we cultivate our understanding of what target sites work best for you. We do not take a cookie cutter approach to link building, and there’s no special formula we follow that is the same for all businesses. Our work with you is designed on the approach of making a list of target sites and working with the webmasters to ensure you have the links you need to improve your ranking. This is a question with a variable answer. It depends where you are currently ranking, where your competition ranks, and how many keywords we are using. Generally speaking, three months is about the wait time you will have before you start to see results. By six months, you should be quite impressed. Sometimes, you might start to see results sooner, and sometimes later, but we want to see improvements sooner than later – just like you. Our teams celebrate the success that comes with having a great link. High fives go around and a bell is rung. Our link building teams are proud of the work they do, and rightfully so. We work hard and simply have no quit in us. Contact Us to find out how we can help you build your links.